This top is pretty as a picnic! 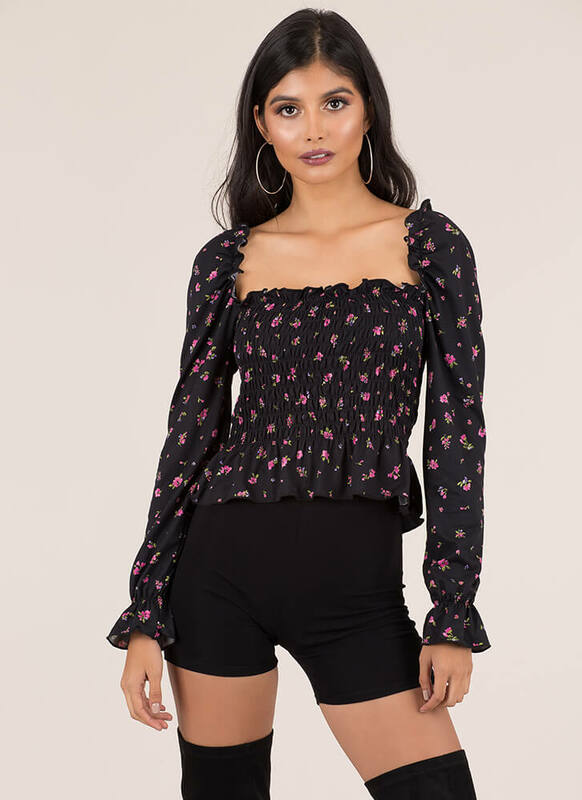 Stretchy, lightweight, floral print top features a square neckline with frilly lettuce edges, a smocked bodice, long sleeves with flared elasticized cuffs, and a ruffled peplum-like bottom hem. No closures are included. Pattern placement may vary.